ST. GEORGE’S, Grenada, May 1, CMC – Disaster officials in Grenada said that the region’s only submarine volcano, Kick ‘em Jenny, showed “continuous activity” on Monday with at least “43 mostly low magnitudes volcanic earthquakes” over an 18 hour period. A statement from the National Disaster Management Agency (NaDMA) noted that the agency is continuing to collaborate with the Seismic Research Centre (SRC), at the St. Augustine campus University of the West Indies (UWI) in Trinidad and Tobago to monitor activities at the Kick ’em Jenny under water volcano. NaDMA said it was “advised of continuous activities” on Monday and according to the fourth advisory from the SRC/UWI “during the period 5:45 p.m. on 30th April to10:41 a.m. on 1st May, the activity rate has remained virtually the same with 43 mostly low magnitudes -in the range 1.5-2.3 – volcanic earthquakes associated with this unrest episode at the Kick-’em-Jenny volcano. Kick ’em Jenny is an active submarine volcano or seamount on the Caribbean Sea floor, located 8 km (5 mi) north of the island of Grenada and about 8 km (5 mi) west of Ronde Island in the Grenadines. The volcano has erupted on at least 12 occasions between 1939 and 2001. 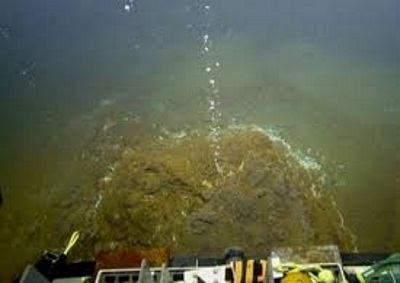 A submersible survey in 2003 detected a crater with active fumaroles releasing cold and hot gas bubble. Signs of elevated seismicity began July 11, 2015, and on July 23 a strong continuous signal was recorded. NaDMA said that the alert level remains “YELLOW” and that means that “vessels should observe a 1.5 km/0.93 mile exclusion zone. 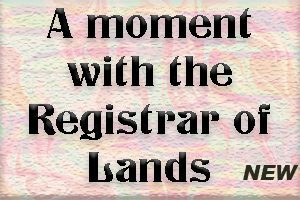 “The population can rest assured that SRC continues to monitor the system and NaDMA will continue to liaise with SRC and provide updates,” NaDMA added. Out canvassing for @char_gerada in central Southsea with @michaeljswalker @Deborah_Malina @SamGSwann @AydinDikerdem Kerem and Matt! There’s less than 2 weeks until local elections. Get involved if you can - we need socialist councillors for municipal socialism!
. @MarthaRaddatz: "Do you believe the president did obstruct justice?"